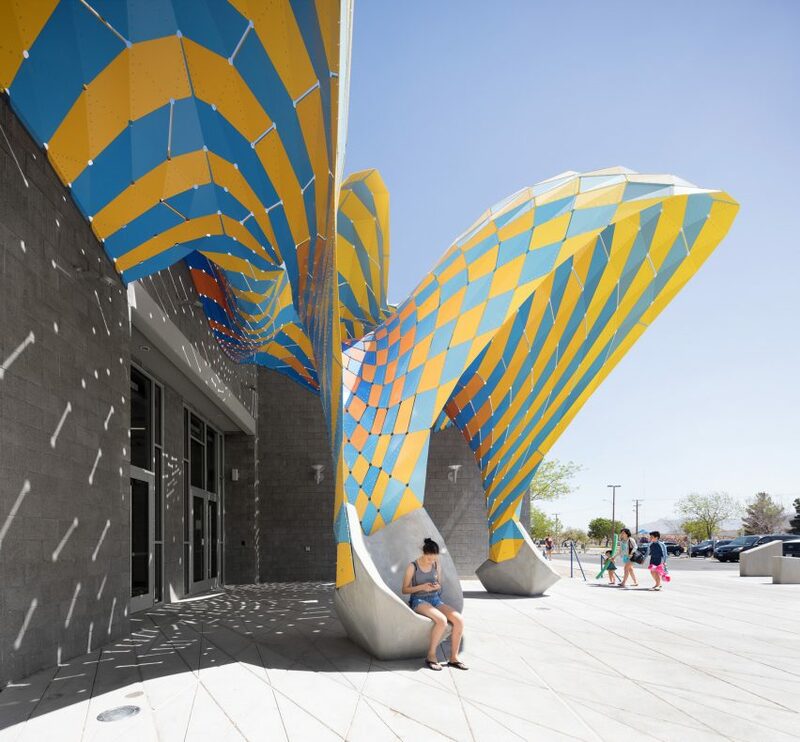 “Playing off the fluctuations between warm and cool in the desert setting, the colouration saturates the palette of the surrounding landscape,” said a statement from The Very Many. 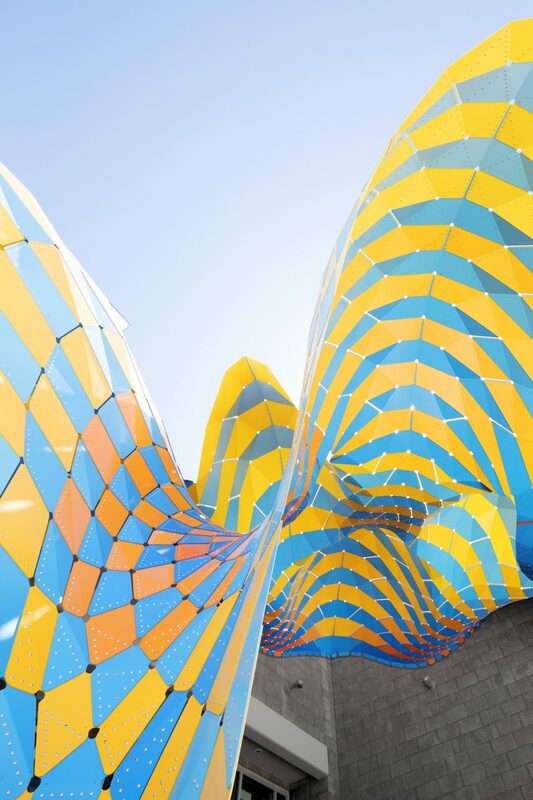 The design comprises 240 panels in shades of blue – “from a bright midday sky to a deep, clear dusk” – and 280 yellow pieces that also vary in tone. 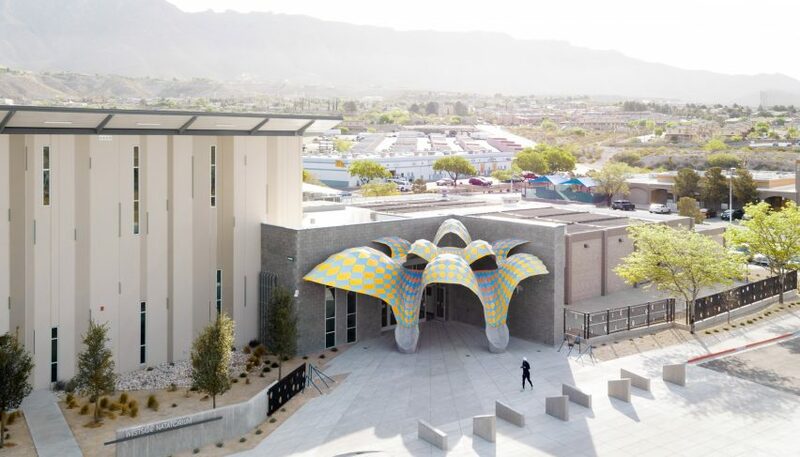 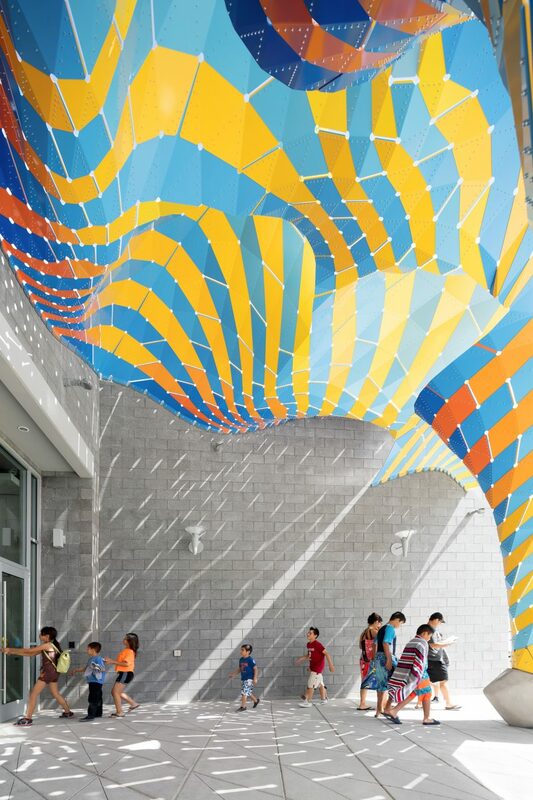 Marquise is positioned at the entrance to the Westside Natatorium indoor swimming pool in El Paso, providing a canopy that shields from both sun and rain. 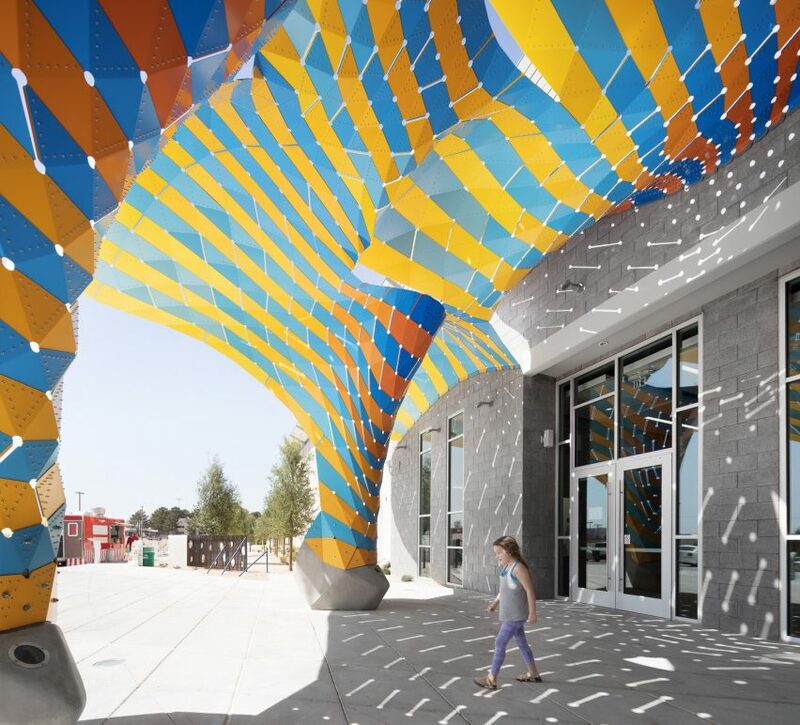 It is anchored by a pair of concrete bases so that it doesn’t blow away, and which double as seats. 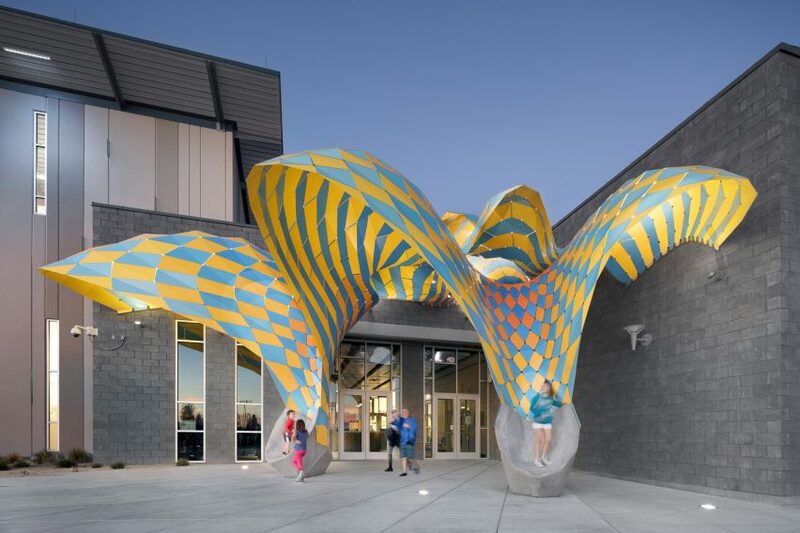 “A marquise is historically classified as a curvilinear steel and glass awning, attached to buildings or freestanding,” said the studio.